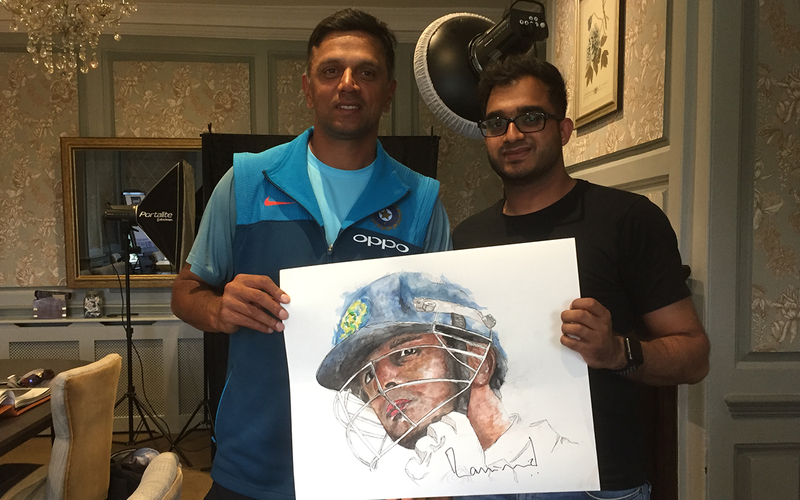 Opus captured the portrait of cricket legend, Rahul Dravid, nicknamed ‘The Great Wall of India’. 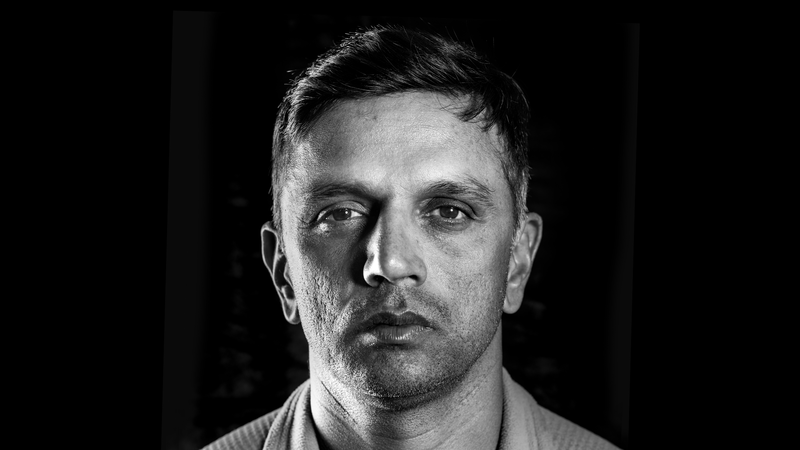 With the India cricket team in England this summer, it was an opportune moment to photograph and interview one of the greatest batsmen in cricketing history, Rahul Dravid. 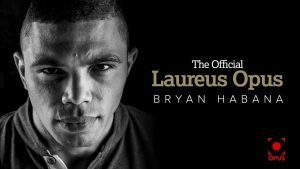 As a Laureus member, Rahul is featured and has his own chapter in the Laureus Opus. The Opus team met up with the cricket legend after the third day of a four day test match in Worcester. Since retiring from playing professional cricket, Rahul is the current Overseas Batting Consultant for the Indian team, and also the head coach for the Under-19 and ‘A’ teams. It seems an obvious choice to put in place a former international captain with a fountain of knowledge to share their wisdom with the next generation of Indian cricket stars. Rahul reminisced how the senior team members would share stories and anecdotes on long train journeys when he was a young man and after turning professional. He shared the locker room with senior players when he was in Karnataka and Bangalore and soaked up all the things they discussed to help him grow. It was now his turn to give back to a sport that has seen him honoured as a titan of the game in every country playing testmatch cricket. Coaching the younger Indian team players allows Rahul to spend time with them over a longer period, get to know them a bit and hopefully influence their approach to the game and life. 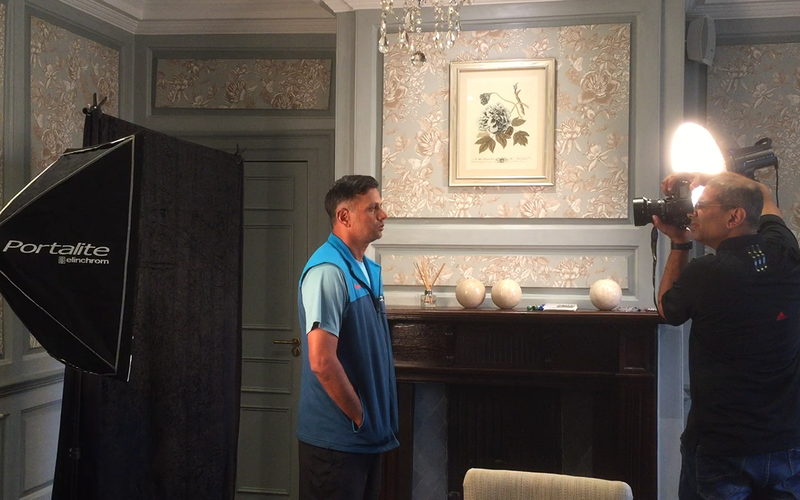 Travelling to the teams base in the beautiful Worcestershire countryside seemed like the ideal location to ask Rahul about his childhood and how he was introduced to the game. “A lot of my love for the game comes from my father who really loved the game of cricket. 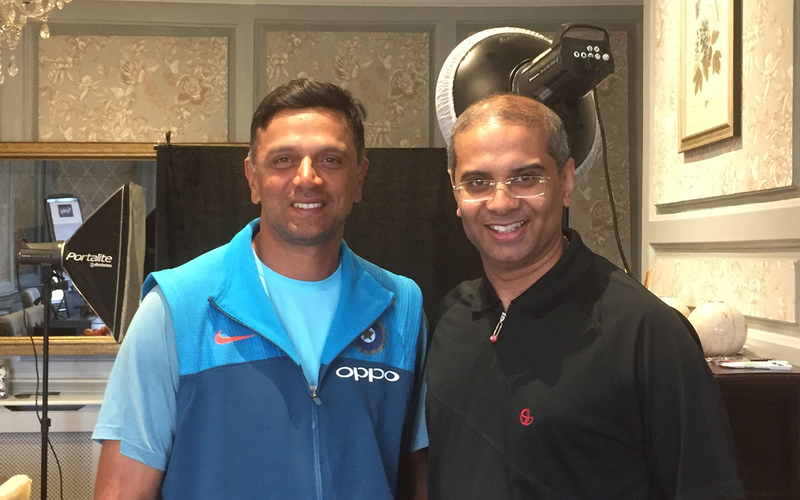 He never coached me but he would take me to cricket matches and listen to radio commentary together when India was playing … My heroes growing up were people like Sunil Gavaskar and Kapil Dev back home in India” (a fellow Laureus member). As with most elite athletes sporting skills came naturally to Rahul. Rahul’s passion for cricket saw him progress and impress coaches and selectors in India. Looking back on his career Rahul has fond memories. “I loved touring the UK. I just found that people really loved the game here, especially test matches, it’s very well received and watched and people are very knowledgeable about the game. It was easy to get around, you didn’t need to take flights to get from one place to another. We had some great rivalries… Australia were probably the greatest team of our generation and Pakistan always gave us a good contest … If I had the chance to share some advice with my younger self, I would tell myself to enjoy the journey a little bit more. You can get so caught up in trying to get better and improve that it can get intense. 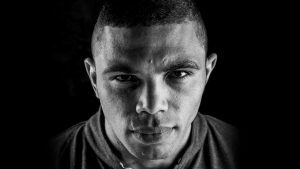 I learned to relax a bit more later on in my career… But it’s also that intensity and desire that helps you to succeed. 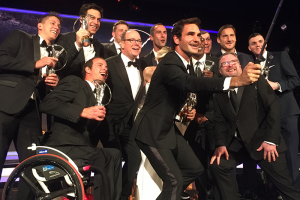 Sporting greatness is defined a lot by consistency and longevity. 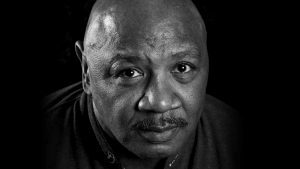 If you have a long career and you’re consistent, you’ll have faced a lot of different challenges through that spectrum of time. Some sports don’t allow you to have a career as long as a cricketer but for me that’s a good way to define greatness.